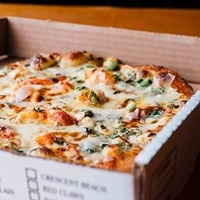 Portland Pie Co. was founded in 1997 out of a small pizza shop in the heart of Portland Maine. Looking for a way to stand out in a crowded pizza landscape, owners Nat and Steve crafted their signature dough flavors; Basil, Wheat, Garlic, and Beer. From the beginning, only the highest quality ingredients have been used for every small batch of dough. Over time, the menu has expanded to include salads, sandwiches, pasta, local beer and wine, but the commitment to quality continues to be the cornerstone of Portland Pie’s success.